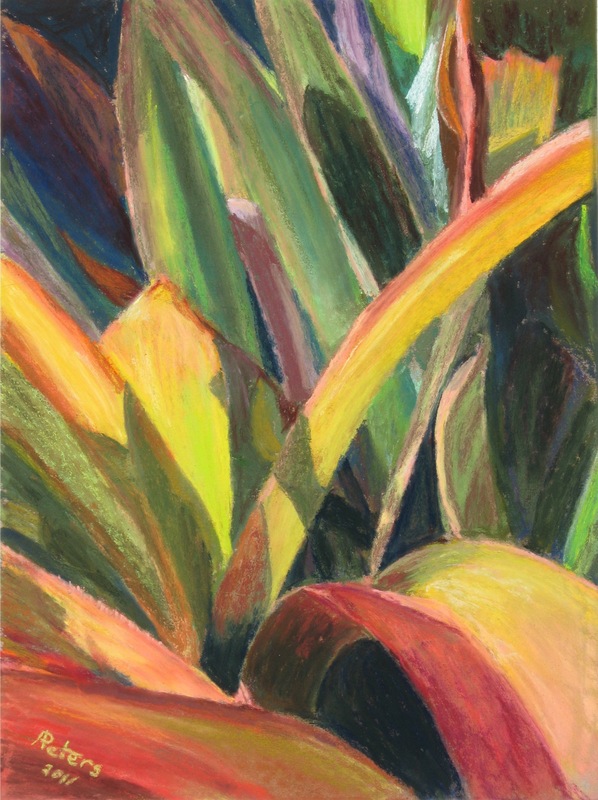 Just a week or so ago, I took a photo of these bromeliad leaves. The colors were so varied and so transformed by the sunlight that they called out to be admired. Much to my delight, an artist friend of mine was captivated by them also. Such fun to see a photo turned into art, God! Part of the ongoing sharing and connecting in our ever-shrinking world. A few days ago one of my blogs got a response from a person in India. Hawaii to India and back. A connection! Smile! Connections are so much more important than I ever realized, God. They are important to our emotional health as we join together to share — hearing and being heard. And they are the very essence of how our brains function. Neuron connecting to neuron — learning. Billions of connections, God. Far more connections in one person’s brain than there are people on the planet. That is a Big Number! I feel as if I am just barely touching the Deep Importance of the Logarithmic Acceleration of Internet Connections. It is as if my mind knows it is BIG and IMPORTANT but is blind to how or why or what it might mean. Caring? Might it have something to do with increasing the Caring — the Love — in our Biosphere? Respect? A desire to become more fully Human? Ah! Such are my Hopes! Meanwhile, God, please help me see everyone around me with the eyes and heart of Respect.